Launched in 2010 by infamous electro artist Umwelt and graphic partner Chris Nexus 6, New Flesh Records definitively focuses on underground and futuristic music. Productions are characterized by the use of analogue synthetic ma-chines: therefore, the music oscillates between Electro and Techno styles. 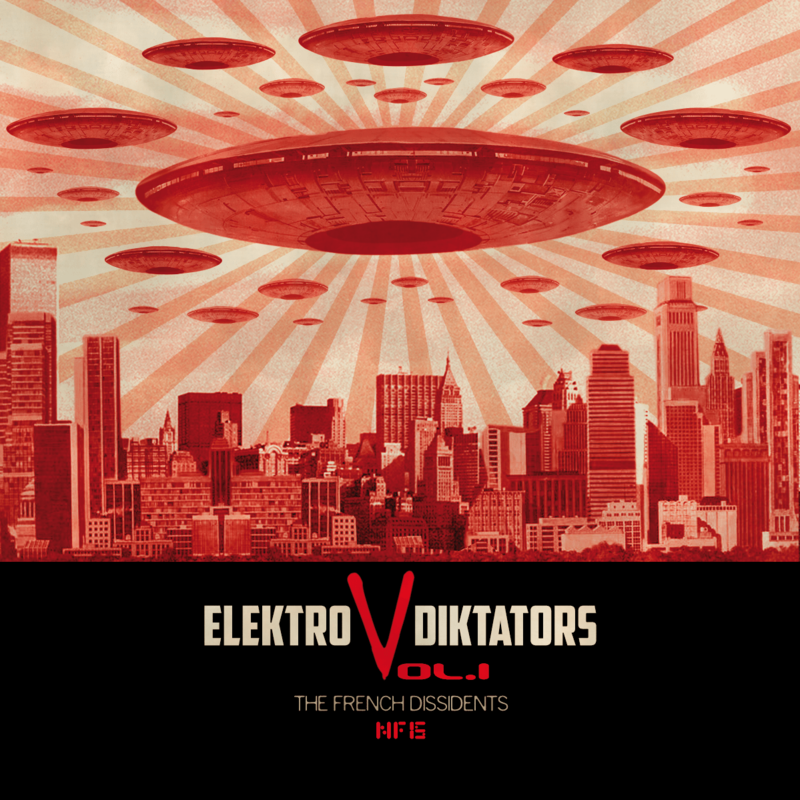 “Elektro Diktators Vol.1” inaugurates a series of top electro compilations on the french imprint and offers for its first chapter four uncompromizing tracks from the like of renegades DynArec (Electrix, Delsin), Umwelt (Shipwrec, Sata-mile), Franck Kartell (Transient Force, Black Leather) & Jauzas The Shining (Last Known Trajectory, Black Montanas). Each artist provides his personal vision of Electro in an oustanding way.